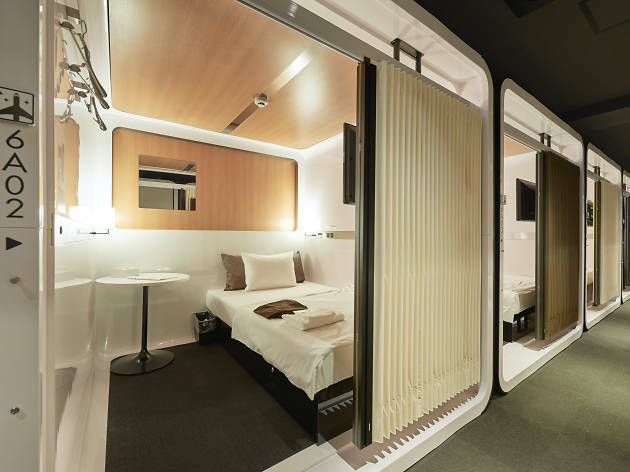 Instead of capsules, here they offer ‘cabins’ with high ceilings, while toilets and bathing facilities are shared but separated by gender. You have a choice between the ‘business class’ and ‘first class’ cabins; opt for the latter if you want extra space, but both come with a safety deposit box, an LCD TV and free wi-fi. Comfy ‘cabinwear’, humidifiers and other essentials are available to loan for free, and there’s even a bar at the entrance. If you're looking for an affordable stay right next to the fish market and just a few minutes' walk from Ginza, First Cabin should be well worth a shot.